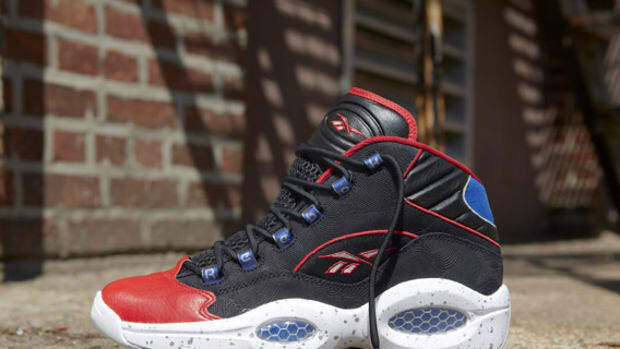 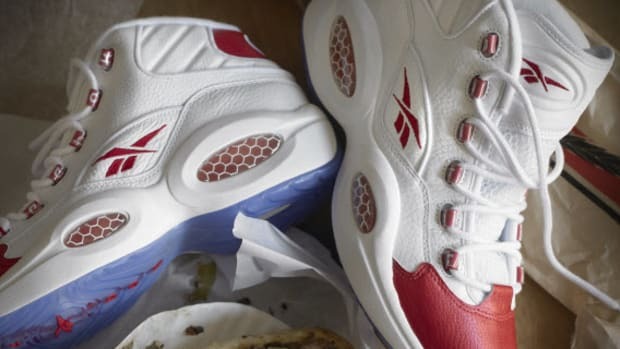 This week saw plenty of media noise in the wake of the 2014 NBA Draft Lottery, and this latest Reebok Question Mid pays tribute to a player who once generated plenty of buzz as the first overall pick in the 1996 draft. 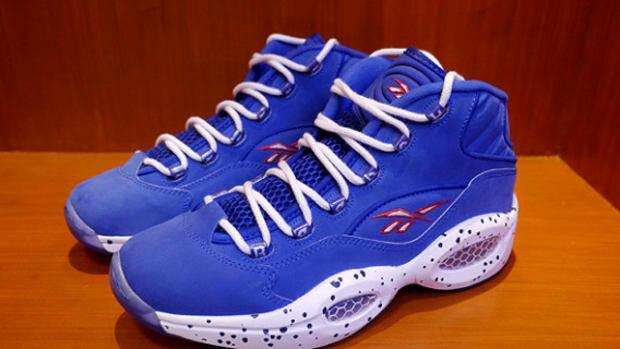 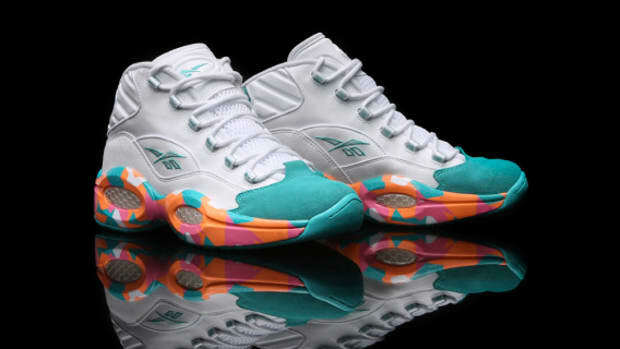 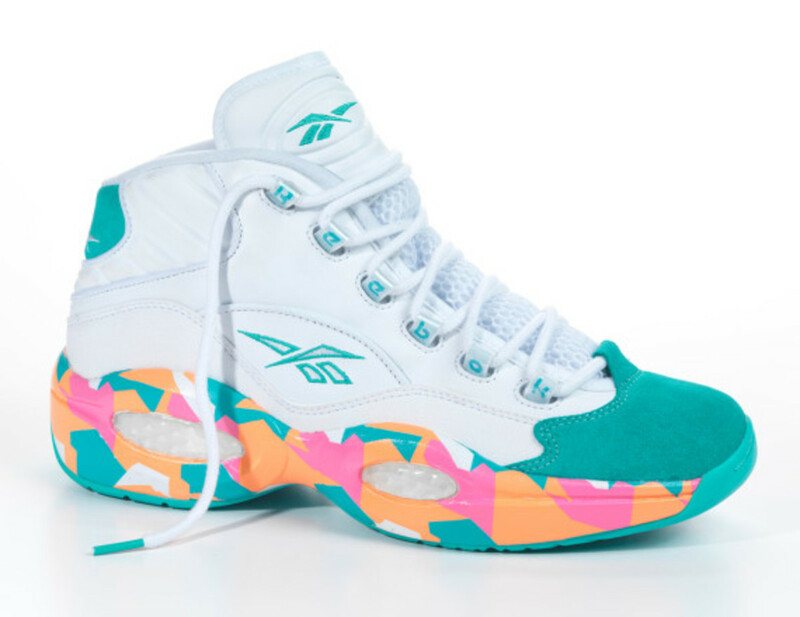 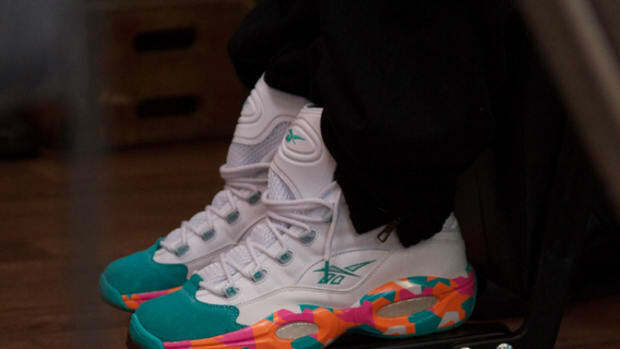 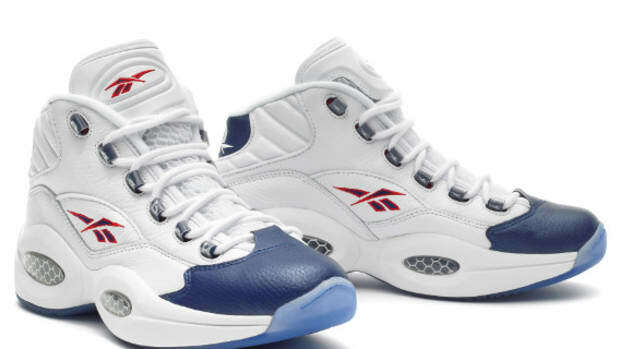 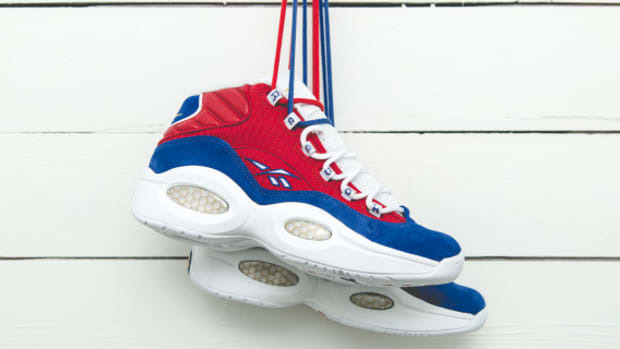 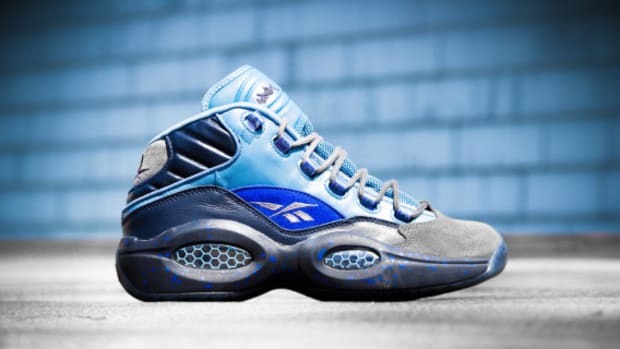 The Reebok Question "White Noise" -- referencing Allen Iverson&apos;s ability to block out the murmuring of his detractors -- flips the negative connotation of the shoe&apos;s nickname into a bright and sunny design, highlighted by pastel colors finishing the midsole and a reinforced suede toe. 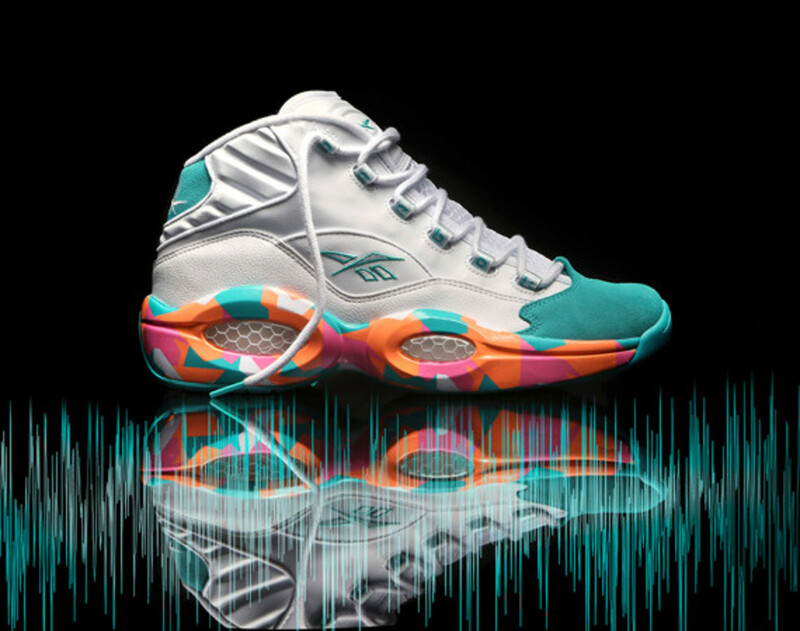 The shoe launches tomorrow through select Reebok Classic retailers and online. 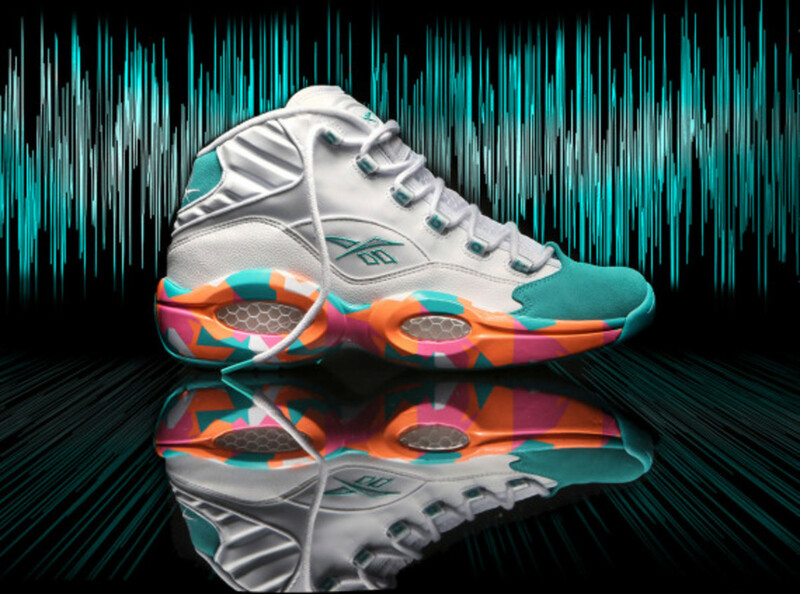 Reebok Classic Question Mid "White Noise"
Reebok - Question Mid "#1 Pick"